Personal success if very important but most important is the team success - Antonio Conte. As Chelsea prepare to defend their Premier League title under Antonio Conte this season, Antonio Conte has re-iterated that the manager must have total control of the dressing room. Two seasons ago Chelsea made a mess of their Premier League title defence under Jose Mourinho and our season fell apart. We finished in our lowest league position since Roman Abramovich had taken over finishing in tenth place. It was a season to forget for all the wrong reasons. Moving forward two years and we are preparing to make our second title defence in three seasons and this time, under Antonio Conte, you cannot see any sort of repeat happening because we all know looking from the outside in that the manager will not stand for it, or for any nonsense from the players. "I don’t think I am a tough manager. Otherwise there is anarchy. When I was a footballer, my coaches Marcello Lippi, Giovanni Trapattoni, Arrigo Sacchi and Carlo Ancelotti were totally in control. If you lose control, anything can happen. Prepare to die. You can see it on the pitch and probably you will be sacked in two months, if you are lucky three months. Your end is decided. When you are a player, you are selfish. I was selfish. Sometimes I score a goal and we lose the game and I am happy. It’s a pity we lost but, hey, I played very well and I scored. It is my job to help my players open their vision. Personal success if very important but most important is the team success." - Source: Daily Mail. 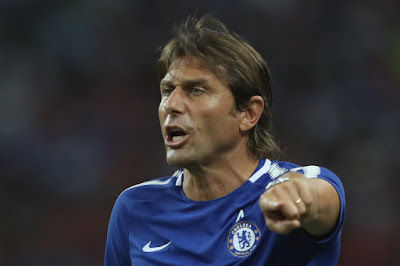 Once again the manager is spot on and you can see that he has taken a no-nonsense approach to anyone who is not committed to the Chelsea cause - look at Diego Costa and Nemanja Matic this summer who have both turned down new Chelsea contracts. I like and really, really rate both players who I personally believe could still do a massive job for us this season, but in saying that, I have to applaud the manager for taking the stance that he has! I have to be honest here, everything about Conte screams success but most of all discipline. You can tell that if you put the work in for him every day you will be a success or be involved in his success as part of the squad. I never thought anyone would ever have the same influence at Chelsea as Jose but I was wrong. These are exciting times for Chelsea under Conte and he has brought back that winning mentality that had left us under Mourinho whether we like to admit that or not. I still do not believe that he has received enough praise for what he achieved here last season because we did not have any European involvement so it will be interesting to see what happens this season. 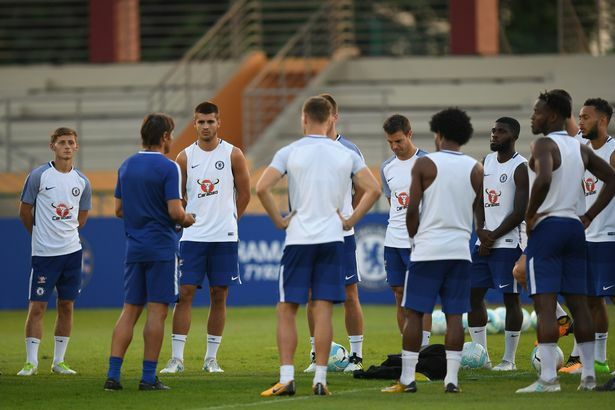 One thing is for sure with Conte, his demands of his players will remain the same, his work ethic will remain the same and he will not settle for anything less.